According to a survey conducted by Gallup, only about 30 percent of Americans feel the need to seek a medical second opinion or gather additional information about their health problem or proposed treatment. But second opinions are crucial, especially for people who are diagnosed with complex or serious health conditions, because medicine is an art as much as a science. Even skilled, experienced physicians can disagree on a diagnosis or treatment plan. That disagreement can result in significantly different diagnoses, treatments and, most importantly, outcomes. Seeking a second opinion to confirm your diagnosis and treatment plan can help you make sure you’re proceeding down the most appropriate path. Without that information, you could waste valuable time pursuing treatments that will not be effective and may in fact even cause harm, for example undergoing unnecessary or inappropriate surgery or a chemotherapy regimen that’s not effective because of the genetic make-up of your tumor. It’s also important to seek the second opinion from physicians and medical centers that have thought-leading experience treating patients with your specific health problem, especially if that problem is relatively rare or complex. 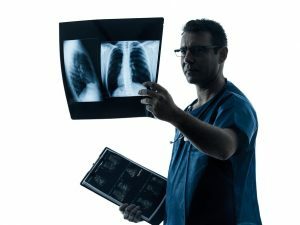 Another reason why it’s wise to seek a second opinion is that it’s difficult for any one physician to be absolutely up-to-date on new diagnostic and treatment options, clinical trials and other information that can affect their clinical decisions. Getting either a confirmation of the original diagnosis or a new diagnosis through a second opinion can help to ensure that you are receiving the right treatment from the start, which can have a tremendous impact on the outcome of your treatment. Also, even highly regarded experts sometimes disagree on the treatment approach. You owe it to yourself to be fully informed so that you can make a choice that is best for you. When you need a second opinion, there are several ways to find a physician to provide that opinion. Your treating physician may be able to recommend an experienced specialist who can provide a second opinion. If you’re not comfortable telling your doctor that you want to seek a second opinion, you can find physicians through medical centers of excellence or medical associations, such as the American Board of Medical Specialties, the American Medical Association, and the American College of Surgeons, which offer online databases of physicians. Some medical centers offer the option of virtual second opinions, which can be helpful if there are no physicians in your hometown who are experienced treating your health problem. To learn how a second opinion can help you ensure that you receive the correct diagnosis and the most appropriate treatment plan, talk with a health advisor.